Many a little makes a mickle. Each and every drop of water is necessary but its management is not proper. 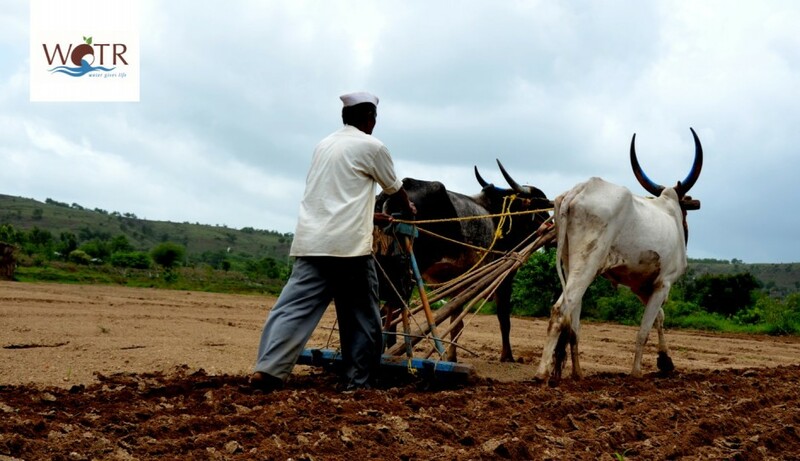 Maharashtra being a semi-arid region the scenario of groundwater is totally different as it plays a significant role in agriculture development and irrigation. This region is dominantly made up of hard rock and aquifers which are quite complex. Due to increasing demand for water, farmers keep on drilling bore wells and open dug wells for crop cultivation which leads to decline in groundwater level. The geomorphology of the region which is visible through our eyes is the surface land. But when it comes to groundwater, it is difficult to conceptualize or visualise something beneath the surface land. This is the reason why farmers are in the competition of pumping out water from the wells to satisfy their needs. To overcome this situation, Watershed Organisation Trust has developed a tool known as CoDriVE- Visual Integrator (CDVI). It is a tool to produce a scaled relief model of surface and subsurface resulting in a 3D model of the villages. This helps the farmers to link their topography with the aquifer system and also assists them to visualize the ground water/aquifer scenario, develop a sense of understanding that the groundwater is ‘shared resource’ and people sharing the common aquifer have to come together for its judicious and effective use. As a researcher I feel, CoDriVE-VI is a silver bullet for groundwater management, being an amalgamation of traditional and modern knowledge supported by evidence. Water Stewardship initiative is being implemented in 20 villages of Jalna and Ahmednagar district, of Maharashtra with the support of Oracle. Several village level Stakeholder Engagement Workshops were conducted in the project villages. During these workshops, the members of the Village Water Management Team (VWMT) actively participated as they thought that it will turn out to be something interesting which they have not done before. The main object of the project was explained through a small activity which helped them to understand the concept of the model. At the beginning of the workshop, participants were confused looking at the unsorted and corrugated cardboard sheets. The facilitators gave hints, and the participants took it forward to prepare a 3D model. Later, the participants with the help of 2D maps started discussing amongst themselves regarding landscape features in their villages and demarcated the topographic features such as forest, roads, well etc. with the help of pin yarns and paint- resembling a 3D model. The next step was the subsurface model after having a glance at it they were excited to know what the model indicates. Members of the community who were not trained to interpret the 2D model and found it difficult, found the 3D model easy to understand. When the facilitators started explaining the model it improved their understanding of topography and knowledge regarding their groundwater potential of their area. This made them realize the importance of groundwater management. At the end of the workshop, the participants gave suggestion on how they can improve the groundwater level and the rules and regulations they would follow at the village level. During the workshop, few members were interviewed so as to understand their perception regarding the CDVI tool. The response was positive as they had not seen such a process and the model before. It was a successful workshop as this could help them to enhance the knowledge regarding the aquifer system in their village.